Jodine Chase of Human Milk News blog discusses the current milk bank shortage in North America and its daily impact on babies' lives. I love her passionate call to action! Toronto is finally getting a donor human milk bank, and it is not without controversy. Questions have been raised over how many babies have died in the six years it has taken for the milk bank to open, and now a family in Ottawa wants the milk bank to provide donor human milk for healthy, term babies as well as the premature babies it intends to serve. The milk bank is scheduled to open this fall, six years after it was first proposed and a year after the Toronto government committed $1.2M towards it, reports the Toronto Star. The Star doesn't pull any punches: donor human milk could have saved the dozens of babies who died from necrotizing enterocolitis (NEC) while the milk bank was in the planning and research stages. The Star notes a milk bank in Calgary was up and running just 16 months after it was first proposed. The Star's story has triggered an opinion column in one of Canada's national dailies, the National Post, slamming the Ontario health care system for taking so long to establish the facility. Meanwhile, CBC reports, the mother of a healthy term infant in Ottawa who was unable to breastfeed arranged and paid for donor milk from another milk bank. She wants the Toronto milk bank to serve families with healthy children who can't receive their mothers' own milk, as well as the very low birth weight preemies and babies with bowel disorders the bank intends to target. CBC quotes Ottawa neonatologist Brigitte Lemyre who says, essentially, donor milk is a scare resource and the sickest babies should receive priority. CBC reports Lemyre also says there is no evidence donor milk benefits healthy babies. 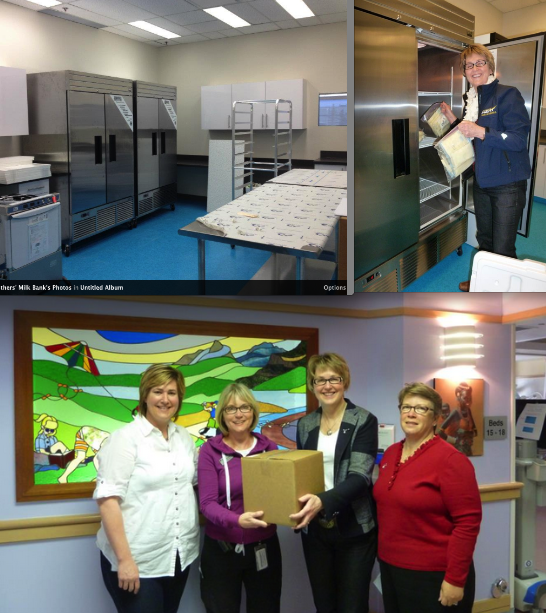 Calgary Mothers' Milk Bank's Facebook photo album tells the story - from equipment move-in day March 1 to the first official donation March 18 and the first delivery of pasteurized donor human milk to the Foothills Hospital on April 13 - 6 weeks. The baby deaths in the years it took for Toronto's milk bank to get off the ground are a tragedy and the resulting controversy is likely to overshadow the issue of who should receive donor milk once milk banks are re-established across Canada. The delay in establishing the Toronto milk bank was one of the catalysts for the creation of milksharing communities on Facebook two years ago. Canadian breastfeeding advocate Emma Kwasnica and her network of moms from around the world decided to take matters into their own hands. Mothers were clamouring to donate, and were frustrated at being told there was no demand for their extra milk - instead of pouring it down the drain, they started offering it to families in need in their communities. They turned to the networking solutions of their generation to match families in need with mothers who had extra milk, and the resulting global Facebook milksharing network made news in the fall of 2010. Some health care professionals, concerned about possible risks of milksharing and realizing increased pressure on milk banks from NICUs was making less milk available to babies in the community, found themselves assuring mothers of healthy infants that infant formula is just fine for their babies. This of course is contrary to the messaging breastfeeding advocates have worked hard for decades to get out to the general public. Breast is not best, it's normal, and formula is not fine, it comes with increased risks for all babies, with of course the sickest being at most risk. One concern at the time was that the popularity of milksharing might reduce the number of moms who donate to milk banks. That concern appears to be unfounded, but when there is a shortage of donor milk in hospital freezers, or when policy glitches or funding issues keep the sickest preemies from receiving donor milk, emotions naturally run high. On the eve of WorldMilksharing Week (Sept 24-30) USA Today explores the rising popularity of both milk banks and milksharing. Operator of the long-standing milk bank in San Jose, California, Pauline Sakamoto, says HMBANA milk banks distributed 2.1 million ounces in 2011, up from 1.5 million in 2009. And more milk banks are on the way - Kansas City, Orlando, Portland, Missoula will all be getting milk banks soon. In Canada – a new milk bank collection depot is set to open in Edmonton, B.C. 's milk bank system is expanding, and efforts are underway to open milk banks in Saskatchewan and New Brunswick. Sakamoto and HM4HB's Kwasnica both note there is no rivalry between milksharing and milk banking, and acknowledge each practice brings different benefits and risks to a community. 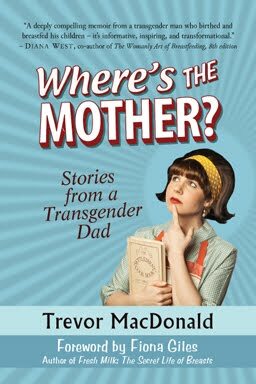 Why did it take so long to re-establish our network of milk banks after the AIDS panic in the 80s, and how many babies died during this time? Is there enough donor milk for all who want it? I hope we will be able to move away from kneejerk responses born of concern over safety and scarcity. We need to acknowledge and applaud the success that has come from decades of hard work on the part of breastfeeding advocates who have clearly convinced families and health care professionals of the value of donor human milk. We need to explore the issues that have arisen and develop thoughtful and sound, evidence-based policies to support the use of all donor human milk. It's time for stakeholders in North America - families who need donor milk, moms with milk to donate, advocates who support, protect and promote breastfeeding, health care providers, hospital administrators, policy makers, and anyone else with the authority and capacity to restore and improve the system - to come together. It's time we had appropriate policies and processes in place for funding and support for families who wish to use donor human milk when mother's own milk isn't available. Babies are dying in NICUs - and mothers are still pouring excess milk down the drain. will house properly screened donations of human breast milk for babieswhose own mothers are, for whatever reason, unable to nurse their children. A facility such as this will keep babies alive and save taxpayers money.